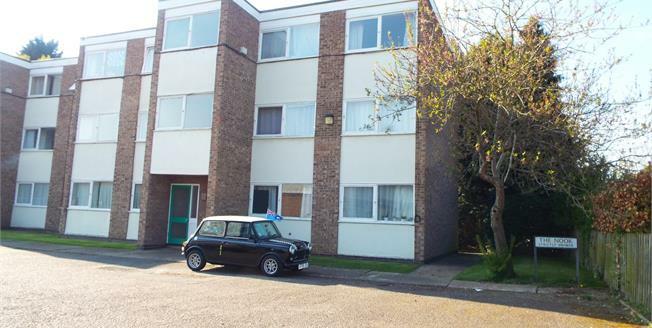 This one bedroom ground floor flat would be an ideal investment as currently tenanted. Internally the property is in good condition and has been well looked after. The property offers entrance hall, spacious lounge, kitchen with dining area, double bedroom and bathroom with a modern white suite. Outside are communal gardens to the rear and communal parking to the front. Double glazed window facing the front. Electric fire and storage heater, laminate flooring. Double glazed window facing the rear. Tiled flooring, part tiled walls. Roll top work surface, wall, base and drawer units, stainless steel sink with mixer tap and drainer, space for electric oven, washing machine and fridge/freezer. Double glazed window facing the rear. Tiled flooring, part tiled walls. Low level WC, panelled bath, shower over bath, pedestal sink. Double glazed window facing the front. Storage heater, laminate flooring, built-in storage cupboard.